The secret's in the taste. The magic's in the value! Create delicious meals for your family with Fryin' Magic Seasoned Coating Mix! The delicious blend of herbs and spices perfectly compliments chicken, fish, pork, and vegetables. And it's a great value! 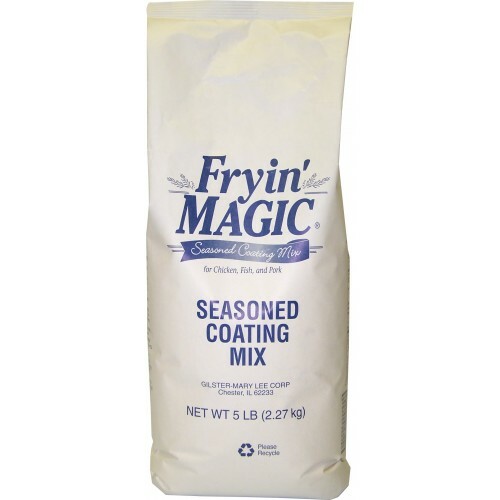 Fryin' Magic All-Purpose Seasoned Coating Mix makes for fabulous you-name-it main courses, side dishes, and snacks - chicken, pork chops, fish, potatoes, chicken nuggets, zucchini, onion rings, and more! And cook any way you like - oven bake, oven fry, pan fry, or deep fry. Bakin' Miracle Seasoned Coating Mix (twelve 16-oz. 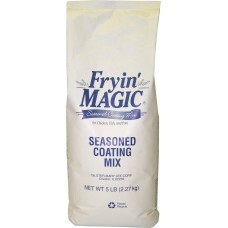 packages) Whatever you coat, however you bake..
Fryin' Magic Seasoned Coating Mix (twelve 16-oz. packages) The secret's in the taste. The magic'..
Gilster-Mary Lee's Foodservice Chicken Coating Mix (six 5-lb. packages) The secret's in the tast..